How much power does it take to pump 35,000 gallons of water per minute up 120 feet vertical? “[Miskolczi’s] theory implies that adding CO2 to the atmosphere would reduce the relative humidity. 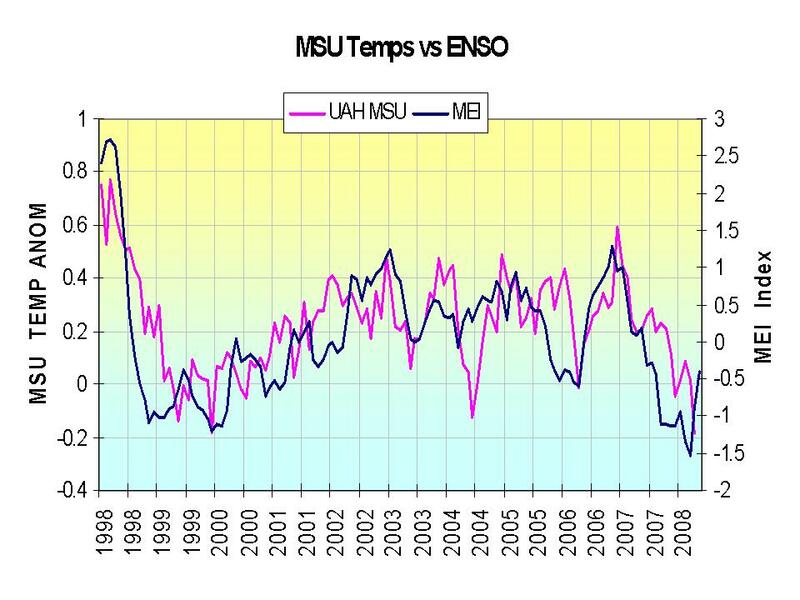 So, has relative humidity been falling with increasing CO2 concentrations? 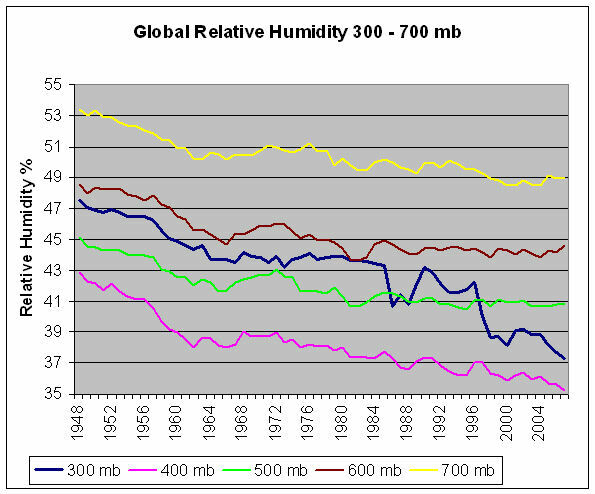 Here is a graph of global average annual relative humidity at various elevations in the atmosphere expressed in milli-bars (mb) from 300 mb to 700 mb for the period 1948 to 2007. The data is from the NOAA Earth System Research Laboratory here. The new Miskolczi theory of the greenhouse effect provides the detailed explanation of why the greenhouse effect is limited to its current value for a constant external Sun forcing. Adding CO2 to the atmosphere just replaces an equivalent amount of water vapour to maintain a constant greenhouse effect. "NASA GISS Biggest Outlier Again"
I can only add that the Sun drives oceanic cycles and is the ultimate climate driver. “Which makes us wonder: Do they even know that socialism — state ownership of the means of production — has been completely discredited by history? For 74 years, we struggled against this evil system, and it ultimately collapsed of its own internal contradictions. Yet, apparently, many Democrats are keen to replicate its worst features here. What’s ironic about this nationalization mania is that government, specifically bad decisions made during decades of control by Democrats, is to blame for our current energy woes.